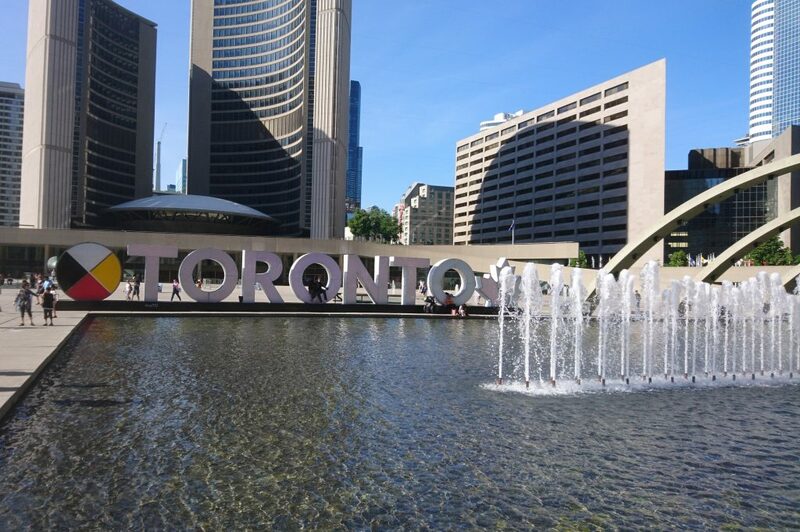 For this year’s annual meeting, the ACA invited the crystallography family to travel to the beautiful downtown of Toronto. More than 650 excited attendees followed this call to spend five eventful days with workshops, lectures and posters but also with several social events. The first day was workshop day and the four highly interesting topics of the workshops, Cryo‐EM – A Guide to High‐Resolution Structure Determination, Molecular Art & Animation in 3D, Applications of Small Angle Scattering to Structural Biology: An Introduction, and Rietveld Refinement And Pair Distribution Function Analyses Of In Situ X‐Ray Scattering Data Within GSAS‐II made it hard to decide which workshop to attend to. In the GSAS-II workshop the participants awaited a brief introduction in GSAS-II and its features, and afterwards an extended “hands-on” training including tutorials on Integration and Calibration, LeBail Refinement, PDF, Rietveld Refinement of Single Powder Patterns, and Sequential Rietveld Refinement. In the afternoon, a special meeting for students and first time attendees has taken place. This meeting provided a short overview on the organization of the ACA meeting and drew attention to the „special” events during the conference, like the Career Development Session, and further sessions called Would you publish this? and Diversity and Inclusivity. Afterwards in the evening, the ACA meeting was officially opened with a short ceremony followed by the keynote lecture of the 1986 Nobel Laureate in Chemistry, John Polanyi, on Order in Crystals – Order in Society. The second day started with the Three Minute Thesis session, a novelty on this year’s ACA meeting, were selected students had the chance to give a short “taste” of three minutes on the topic of their posters. A jury selected the best eight of these talks for a “final” which was held later this day at noon. As usual, each day was split in two half-day sessions on a large variety of topics from all fields of and related to crystallography. During the lunch break, meetings of the Special Interest Groups (SIGs) were scheduled. The evenings of the second, third and fourth day were reserved for the poster sessions and on the last evening traditionally the Annual Awards Banquet closed the meeting. A highlight of ACA2018 clearly was the full-day session in honor of Richard E. Marsh (1922 – 2017) in which the crystallography family commemorated a brilliant member of their community. There also was a session dedicated to honor Phil Coppens (1930 – 2017), another great crystallographer who passed away last year. The morning slots of the third, fourth and fifth day were dedicated to the annual award winners: Simon Billinge received the Bertram Warren Award that “recognizes an important recent contribution to the physics of solids or liquids using X-ray, neutron, or electron diffraction techniques”. He gave a talk on How the PDF Method Went From Niche Technique to Mainstream and Beyond. Frank C. Hawthorne was awarded for the Martin J. Buerger Award which “recognizes mature scientists who have made contributions of exceptional distinction in areas of interest to the ACA”. In his award lecture he gave insights on Bond Topology and Structural Arrangements in Inorganic Crystals. The Etter Early Career Award which „recognizes outstanding achievement and exceptional potential in crystallographic research demonstrated by a scientist at an early stage of their independent career“ was awarded to Jason McLellan, who gave a lecture on Using X-ray Crystallography to Fight Back Against Pneumoviruses. In conclusion, the people of the organization committee did an excellent job and there is no doubt that the meeting is very attractive for Young Crystallographers. In this context, I would like to draw your attention to the numerous possibilities to apply for travel funding, e.g. by the ACA. And I would like to express my warmest thanks to the ACA for awarding me a travel grant and thus for giving me the opportunity for that great experience at this year’s annual meeting. Dieser Beitrag wurde unter AK-Junge-Kristallographie abgelegt und mit meeting verschlagwortet. Setze ein Lesezeichen auf den Permalink.